I can't believe we have reached the final week of June, meaning that we are now half way through 2017! This year feels as though it is slipping by in the blink of an eye, but to be honest I'm quite excited to welcome the coming six months so I don't mind too much. I love July and August, the two hottest months of summer, before the glorious autumn and then the countdown to Christmas. There is just so much to look forward to! This week has been a bit of a weird one as I've suddenly felt really positive and motivated, but also completely exhausted, so they have cancelled each other out somewhat. I've got so many ideas, both for this little blog and for my life in general, I just need to get my bum into gear and put the effort in! 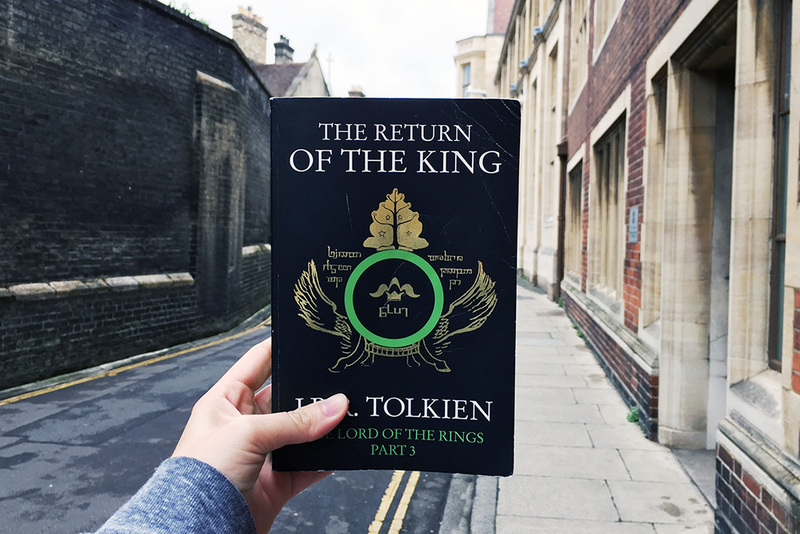 I'm sure you're all bored of me banging on about the Lord of the Rings trilogy, but I am happy to report that I am now on the final book and getting really close to the end! Despite my little break in the middle, I have really enjoyed reading them, far more than I thought I was going to. I actually bought the set way back in 2012 and was really excited to read them, but thought they would be really hard, so ignored them until now. I have been pleasantly surprised by how easily I've followed the story, although I do get a tad confused with all of the place names and their relation to each other! Every day this week I have watched as my plants have grown bigger and bigger in the garden. 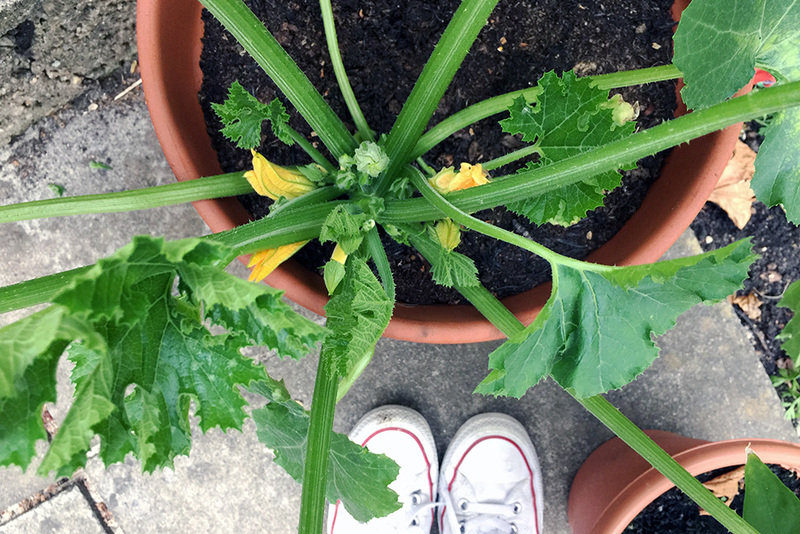 My two courgette plants are now absolutely huge, have lots of flowers and a fair few little courgettes which is so exciting! 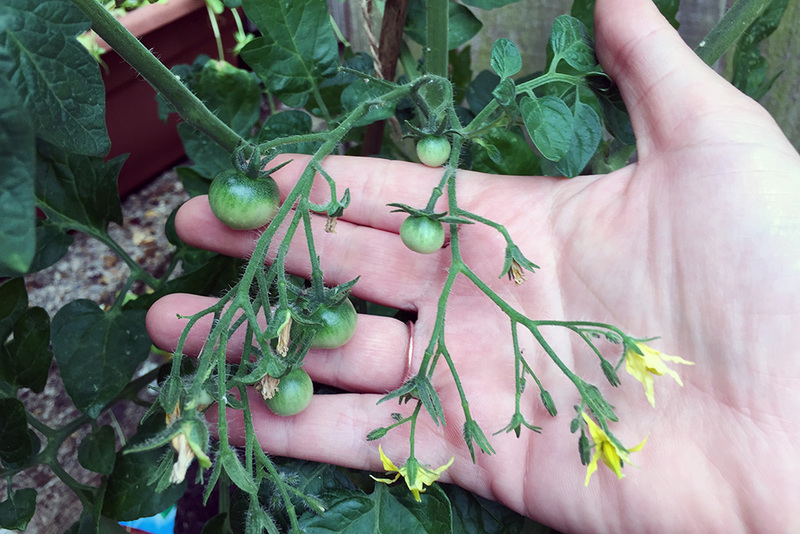 My tomatoes are also doing really well and I can't wait for them to be ready to eat. My poor little strawberries however aren't doing anywhere near as well as I had hoped they would. So far we have only had four, and two of them have been eaten by animals. We've constructed a cage for them out of netting to protect them from harm, but still they are not flourishing. Fingers crossed we will have better results next year! Last week I made a butternut squash and bacon risotto which was to die for. In fact, it was so good that both Jono and I independently declared it to be the best risotto we had ever tried. This week I made it again and it was no where near as good, so I need to figure out what I did differently! Both times Zach refused to eat a single mouthful without having tasted it, despite risotto being one of his favourite meals. Toddlers! I have worn clothes for every season this week, because seriously, what is going on with the weather? On Saturday it was 28 degrees and I wore a little dress, and then yesterday our house was so cold I actually put the heating on for an hour. I have spent the past couple of days in cosy jumpers, which I have to admit has made me really excited for autumn; I am officially on countdown now! Sticking on the podcast theme from my last #LittleLoves post I wanted to talk about one by the brilliant blogger and instagrammer Sara Tasker from Me & Orla. 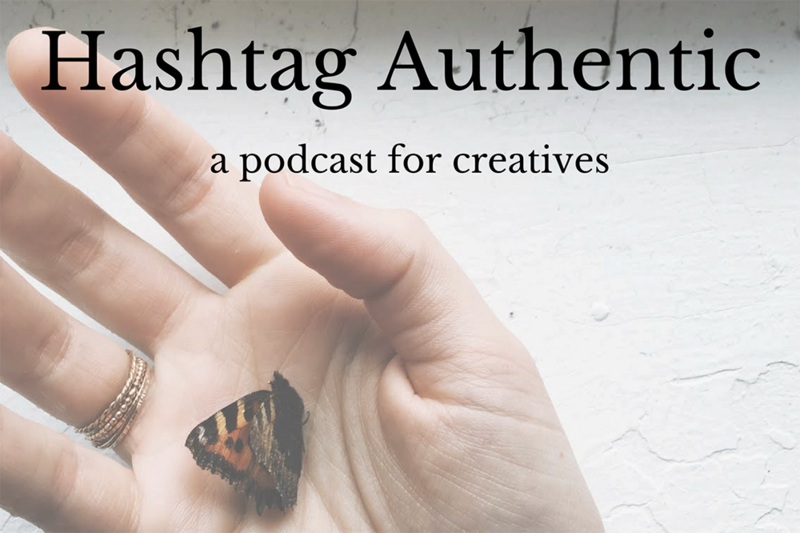 She makes a weekly podcast, called hashtag authentic, which I have been really enjoying and has given me a lot of food for thought. 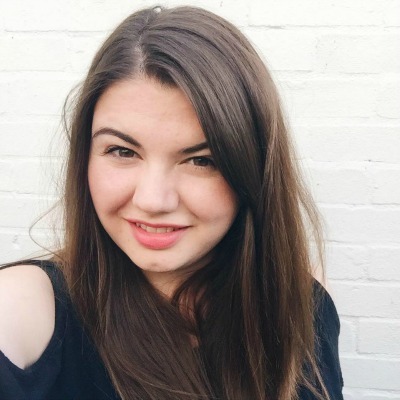 Since starting this blog I have realised that I definitely sit on the more creative side of things, so I really enjoy listening to what she has to say, and giving her tips a go. If you are interested in that type of thing I would definitely recommend going and giving her podcast a listen! A few weeks ago I found out that my darling Nana, who is 82, had never ever been to a BBQ. I decided that obviously this was something that had to change, so invited my family round this weekend so that my Nana could attend her first one. 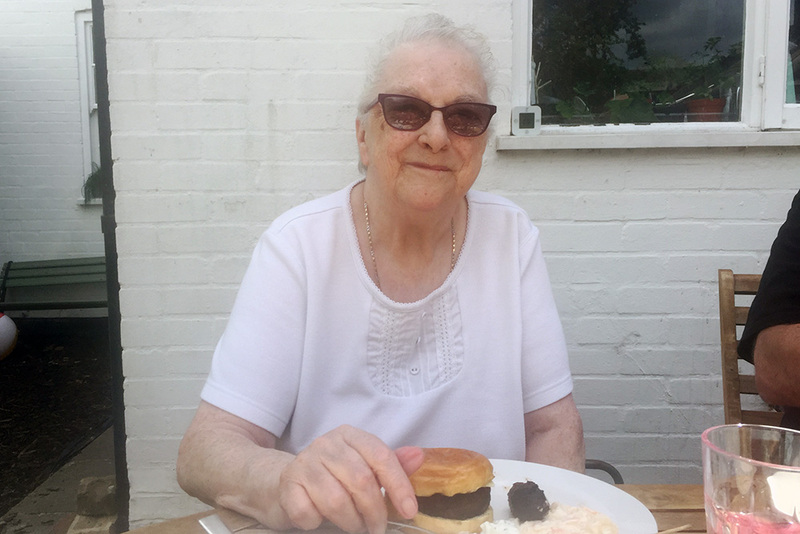 I'm happy to report that she absolutely loved it, and she even said that it was amazing to see the food being cooked on a BBQ in real life as she'd only ever seen it on TV! Bless her, she is too cute! I do have one extra thing I want to mention! After introducing Zach to the potty last week he has only gone and started potting training himself. I am no where near ready or prepared, but somehow he is, and he's absolutely loving it! I haven't got a clue what I'm doing, so if you have any tips please do leave them in the comments. I'm hoping that it will all go smoothly, because after birth itself, potty training is the thing that scared me most about being a parent! Oh bless your Nana! I can't believe she'd never been to a barbecue before. What a lovely idea to throw one so she could come along. Well done on your veggie growing! My E's tomato plant is still growing strong but still no fruit yet. Woohoo for potty training. I think the best thing is when they want to do it for themselves and you aren't having to force or bribe them so I say go with it! We used sticker charts with both of mine which seemed to work well though. Your veg is fab; I'd love to know your secret as I can't even keep a fake plant alive haha!! I always dream of having a little veggie planter but I just think I'd kill everything. How cute is your Nan?! I'm glad she enjoyed her first ever BBQ! Good luck with potty training - I was exactly the same with it being one of the parenting things I was most scared about, but the fact that Zach is taking the lead himself should be a good sign! Your nan is so cute! Good luck with potty training. I have no tips, my eldest was a nightmare! I love hashtag authentic. My strawberry plants are doing rubbish too.